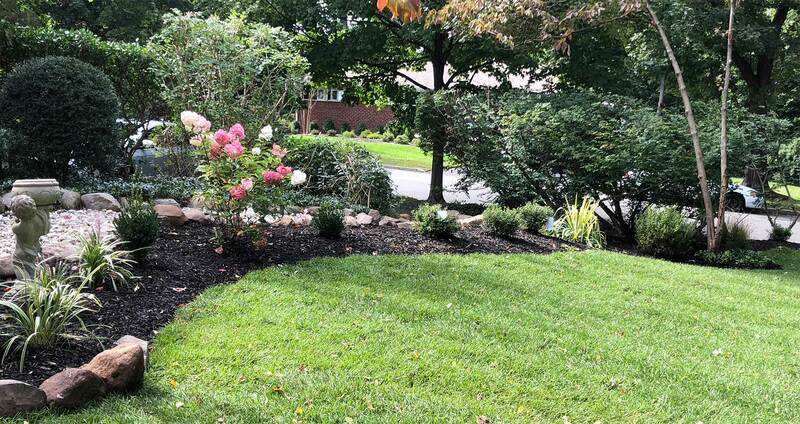 This property located in Tenafly, N.J. entailed a complete landscape design build makeover. 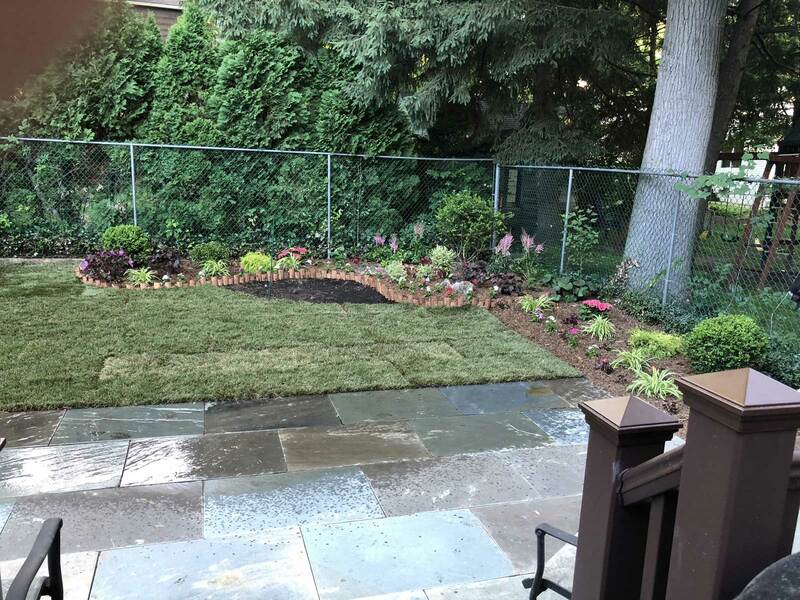 The entire lawn and landscaped areas were both neglected and the beds were overgrown with scraggly shrubs and ground cover growth and as such the appearance was very unsightly and not usable for family and friends. 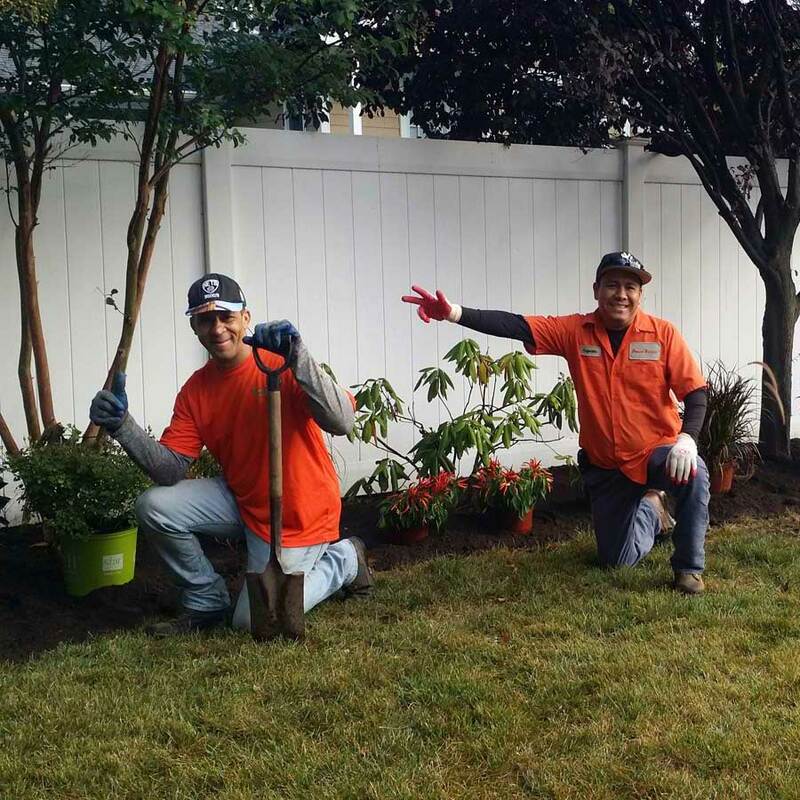 This property located in Paramus, N.J. entailed a complete landscape design build makeover. All existing lawn and bed areas were in dire straits, need a thorough cleaning and weeding before we could even begin to move forward. 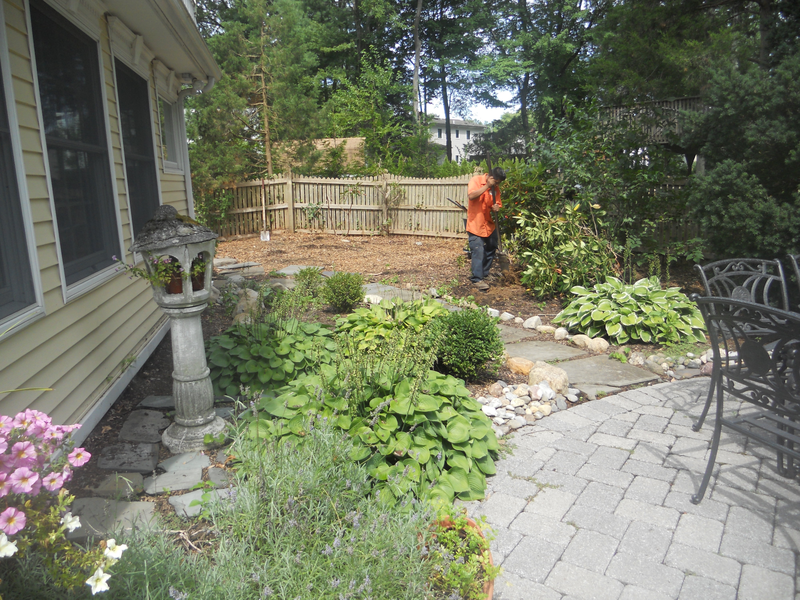 Within some of the landscape areas were concrete and block paver stones, long neglected and serving no purpose anymore which we removed. 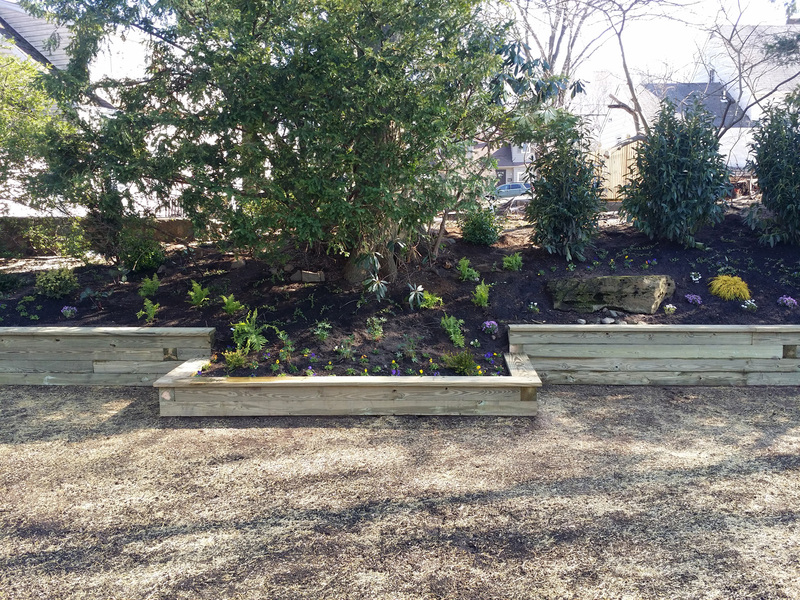 Being mostly sun areas, there were however shade garden beds wherein the landscaping needed to incorporate plants that thrive within the full spectrum of sun to shade gardening. A blank slate such as this property makes it easier to separate the areas. Some houses already have a foot print that need existing materials to be moved in order to provide a more evenly flow from one area to another. This backyard had almost all the components of a true backyard paradise. Simplicity in design follows the, less is more, motto of architect Mies van der Rohe, an early advocate of simplicity in design through his influence on the Bauhaus movement and championing of the Modernist movement, which allows form to follow function, to create open spaces and a simplicity of design. It was 9-11-17 when I got a telephone call from a very unique woman regarding a woodland landscaping project. After our phone conversation, which was both informative and full of laughter; I thought to myself “this lady is one of a kind”. I always heard birds of a feather flock together so I suppose that’s why we got along so well right from the get-go. Who says shade gardening can’t be interesting? This HoHoKus residence located in northern New Jersey was just that. 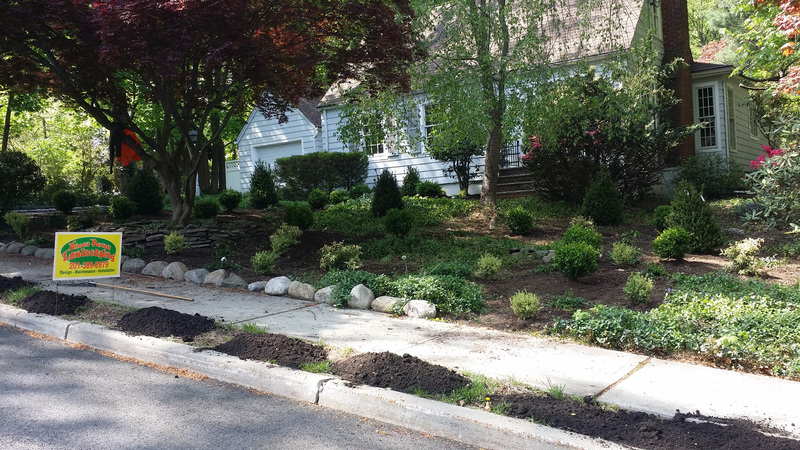 The front of this house had sporadic patches of ground covers which weren’t very attractive and numerous areas of bare ground. Many shade and deer resistant plants have been selected so that this install flourishes with time. 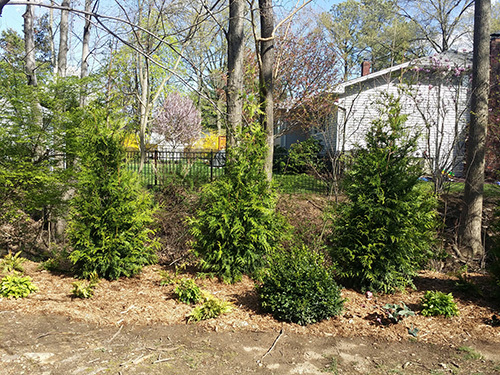 Some of the material’s selected were, Ilex Steeds, Variegated and other species of boxwoods, leucothoe, and vinca, a great ground cover for dense shade gardening. This residential setting had a rear yard that was approximately 90 ft across with a solid 5 ft front to back along with rear of the property. The entire stretch of property line was overgrown and in need of serious landscaping to say the least. 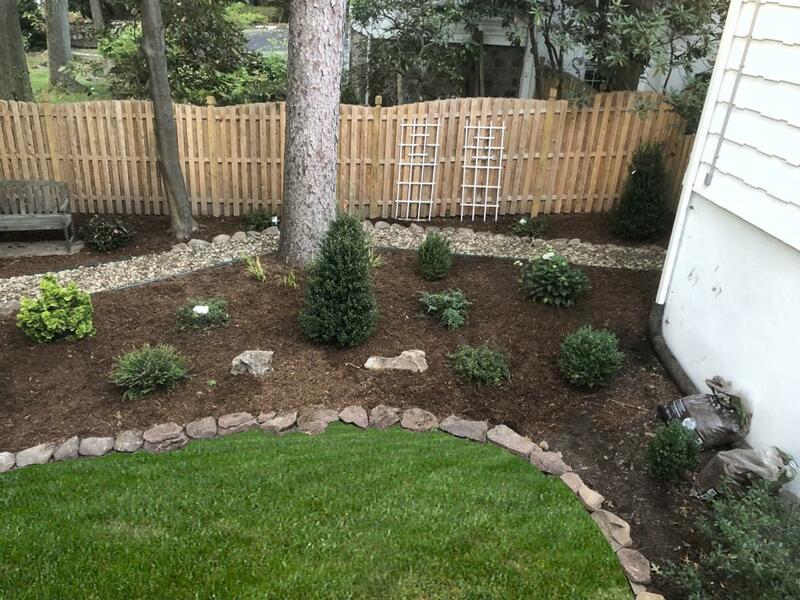 We removed all the debris within the hill and installed a decorative retaining wall with a seat on top to add more space to the yard. 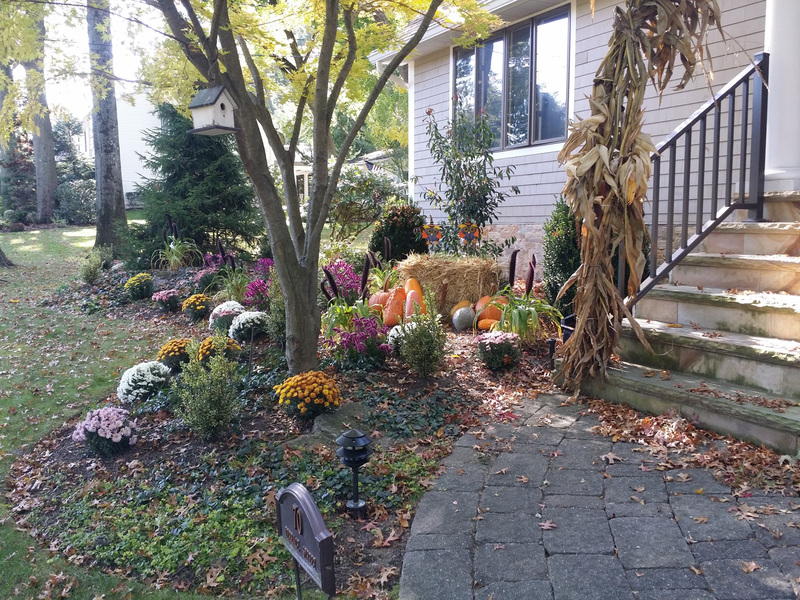 The retaining wall, having two distinct heights adds interest and the center bed becomes a focal point of color throughout the season.